AT&T plans to market the iPhone, an innovative mobile phone that incorporates iPod features and Web capabilities, to business users in addition to consumers, despite the fact that Apple’s mobile phone is expected to be a relatively closed system. The company has decided that the iPhone will appeal to business users and is now working to ensure that its back-end enterprise billing and support systems will accommodate the device when it ships. 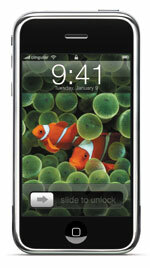 The iPhone is expected to have a number of shortcomings for business users, such as a lack of removable battery. “You’d be crazy to buy without that,” said Ken Dulaney, an analyst with Gartner. The phone also has multiple processors, which consume battery life faster than single processor phones. The iPhone, an innovative mobile phone that incorporates iPod features and Web capabilities, is expected to become available in June. It will cost $499 or $599 depending on the memory size. Once the iPhone is released in June, there will be a big discrepancy in the number of people who currently say they will buy the $500 iPhone from those who actually do. There will also be a big discrepancy in purchasing numers between different demographic age groups. Young people will care less about the actual functionalities of the product and more about the hype and ‚Äúcoolness‚Äù of it. Older business users are the exact opposite. Because of this, I think it would be a waste of AT&T‚Äôs resources to market towards business users (for the first generation iPhone anyways). There have been quite a few polls from different research firms showing a wide range of interest in the iPhone. Great comments. Don’t you wonder if the 25% of high school kids that would be willing to buy a $500 iPhone actually would be paying for it if they did?